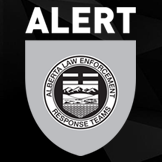 ALERT - A joint investigation between ALERT’s Internet Child Exploitation unit, Blood Tribe Police, and Lethbridge Police has resulted in the arrest of a 20-year old man for numerous criminal offences. Skylar Pantherbone was arrested on August 17, 2017 following allegations he lured and sextorted an underage victim. He was arrested at a Blood Tribe First Nations home where a number of drugs and weapons were also seized. Pantherbone is accused of hacking into a Lethbridge teen’s social media account and accessing private photos to sextort her. The victim disclosed these offences to a Lethbridge Police School Resource Officer in March 2017, which prompted ICE’s involvement in the investigation. The accused and victim were not known to each other. ICE managed to track the hacker’s location, which also eventually led to his identification. The search of the suspect’s home led to the seizure of a number of electronic devices seized, which will be subject to further forensic analysis. Blood Tribe Police’s Crime Reduction Unit provided assistance after a quantity of illicit pills, including suspected fentanyl and oxycodone, were found along with proceeds of crime and weapons. Pantherbone’s breach charges are related to a previous ICE investigation where he was arrested in September 2016 for similar offences.